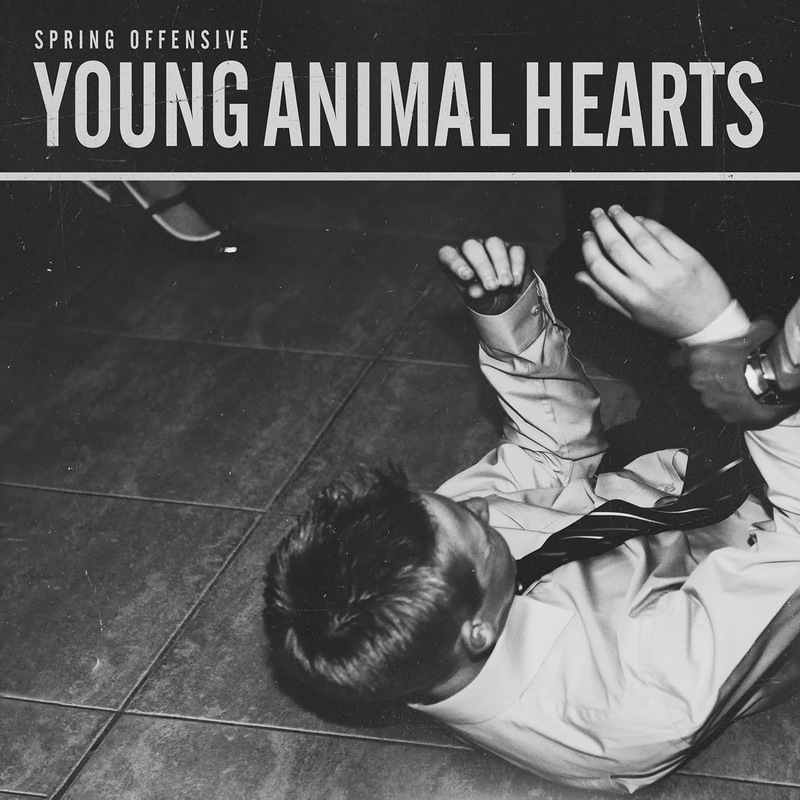 One of our favourite records of 2014 so far is Young Animal Hearts – long-awaited debut full-length from Oxford, indie-rock quintet, Spring Offensive. At the top of the year we reviewed the album’s stunning, first single, Hengelo, which – as the band do so well, so often – infused beauty and melancholy simultaneously but interestingly also showcased a Bon Iver-esque folk-y side we’d not heard before. The album has just spawned a second single Bodylifting and like the previous single it offers a few unexpected but refreshing twists and turns. The new single has a Bombay Bicycle Club charm with its quirky, melodic vocal lines, math-y, intertwining guitar lines and undeniable pop appeal. Interestingly, during the verses, the guitars take on the role of choppy violins before ambient, delay-saturated guitars emerge and consume the listener like a tidal wave for the chorus. In what seems to becoming the band’s knack, Bodylifting features more heartbreaking and honest observations, singing “There’s a change in pressure, there’s a calm before the storm. I wish I had money, Wish I had self-control flight”. Is it possible to dance and cry at the same time? One of the album’s many highlights, Bodylighting further showcases the band’s quirky but ever sharp pop songwriting chops.